Linda created a long, tall card rather than a standard A2 size card that works so well for her design. Each of the stamped owl images has their own branch to sit on, giving the illusion that they are sitting in large trees. The gorgeous ink blended background adds a pop of color to the scene and coordinates beautifully with the adorable owls. 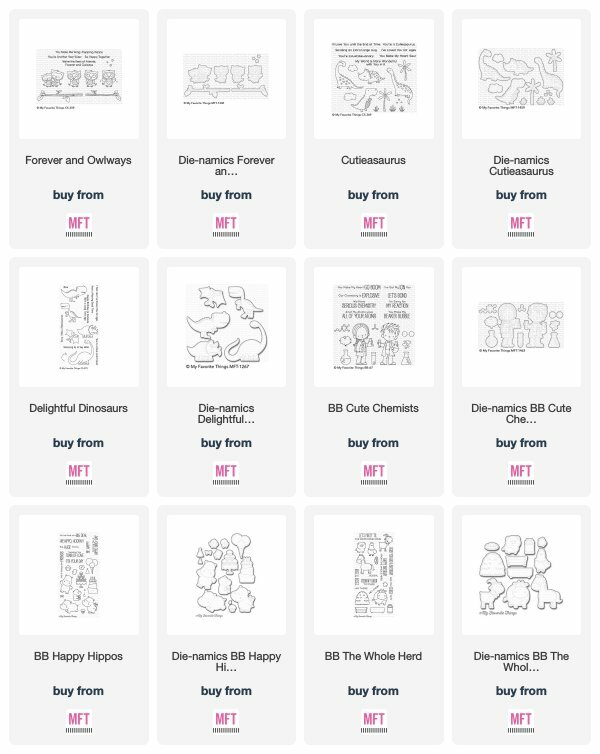 Natasha created a love-themed card by combining two charming dinosaur images from the Cutieasaurus and Delightful Dinosaurs stamp sets. 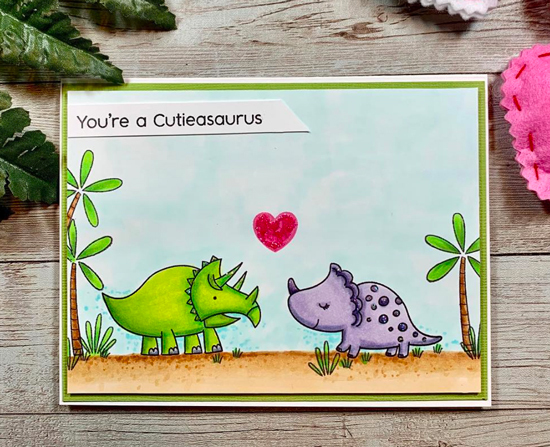 The dinosaurs are sized to perfectly complement one another, while the addition of the stamped heart is a great accent for these love-struck cuties! 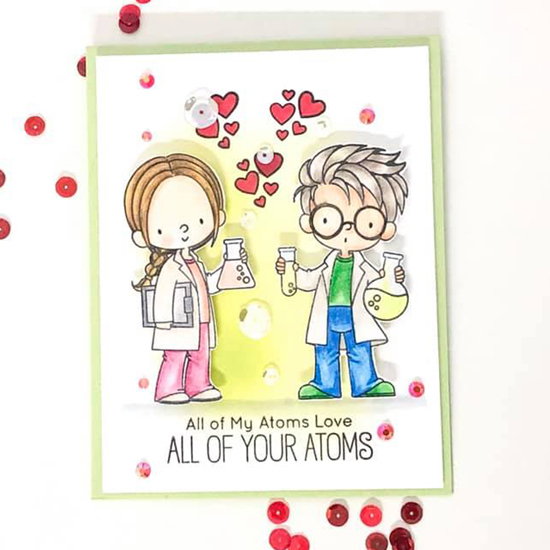 Neha created perfect chemistry on her love-filled card! We love the colors she included on her stamped images, especially the pop of red on her floating hearts. The sequins are a great addition that coordinate so great with the sentiment she used on her design. Amanda kept her color palette simple, and it definitely works on her sweet birthday scene. 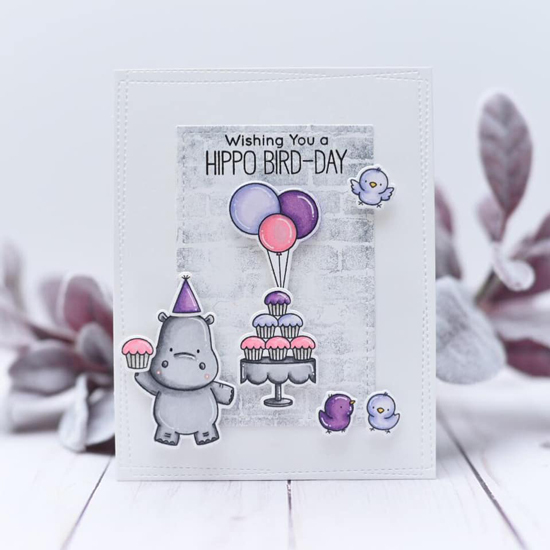 The pink and purple color combination complements the grey tones nicely and really adds a cohesive look to her card. 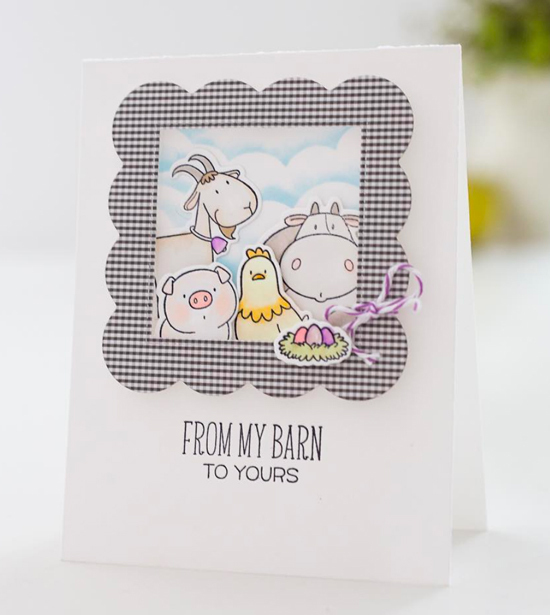 A quartet of barnyard animals, complete with a cloud-filled sky in the background, provides a fun, playful look on this adorable card design. The large black & white gingham scalloped frame highlights the scene nicely while the addition of the string adds detail and dimension. Oh wow! Thank you so much, feel very honoured that my card is one of the cards that have been spotted! Congrats to the other ladies as well, some amazing creativity!